With heavy rains, residents of Prince George’s County should prepare to sing in the rain through the upcoming weekend. These thunderstorms have left the area expecting heavy, persistent rainfall, gusty winds reaching up to 25 mpg, and ongoing flood watches and warnings. To get ready for the dampness, homeowners throughout Upper Marlboro and the rest of Prince George’s County should water-proof their homes to prevent unwanted water damage and flooding that can ruin your home and cause mold growth and know how to safely navigate flash floods. Locate your emergency kit and make sure it’s been recently restocked with a flashlight and extra batteries, fresh water, non-perishable food items, first aid, and medicine. Establish a storm preparation and evacuation plan then communicate it with all household members. Secure or relocate any outdoor items or furniture so they don’t blow away and cause damages or become water damaged. Close shutters over windows and shut any blinds, curtains, or other window coverings. Unplug electronics and appliances from outlets so they don’t become damaged or cause electrocution. To make sure your home stays dry during the thunderstorms, ensure your gutters are clean of excess debris, air vents are properly closed or covered, and there’s proper sealant around windows and doors. 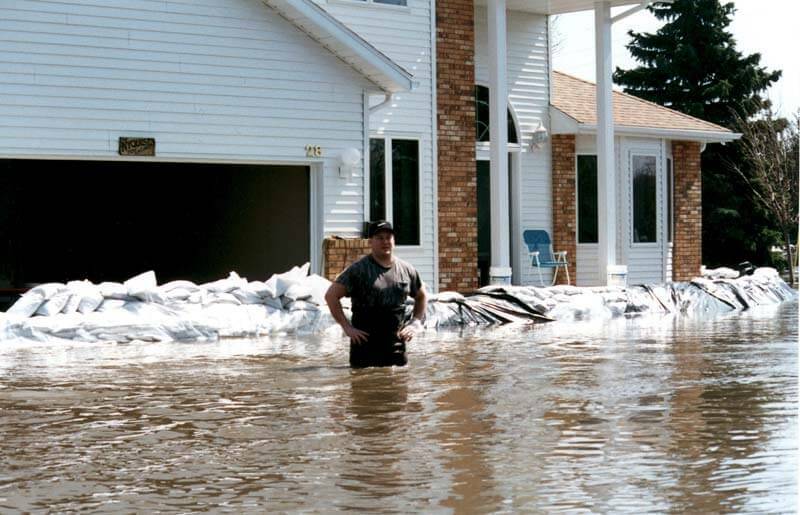 Don’t hesitate to move immediately to high ground by foot when flood waters are present. Be aware of any streams or canals in the path of your evacuation route that may become flooded and block your exit. Driving and walking through flood waters is incredibly dangerous. Six inches of moving flood waters can knock people over and one foot of water can sweep vehicles away. After the threat of flooding has passed, you can return home once officials have declared the area safe. Don’t try to drive through flooded areas or walk through standing water where hazards may be hidden and walkways may have been eroded. Also, toss out any food that contacted flood waters and don’t use appliances affected by the waters. Don’t use candles to combat the dark as these can start unwanted fires. Always use a flashlight and keep extra batteries on hand. Plug all appliances and electrical devices into a surge protector or unplug them from outlets. If the power surges, it can damage items — especially computers. To avoid spoiling refrigerated foods, keep the fridge and freezer doors closed. Keep one overhead light switched to the on position so you know when power to your home has been restored. 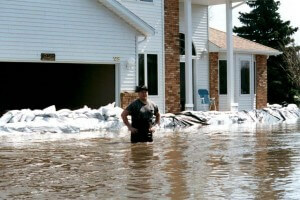 After these ongoing thunderstorms, you may find that your home has suffered some water or flood damages. To quickly and expertly remediate all water damaged structures and prevent mold growth, call the professionals at 911 Restoration of PG County. We offer free visual inspections and same day services. Learn more today by calling us at 505-225-2254.